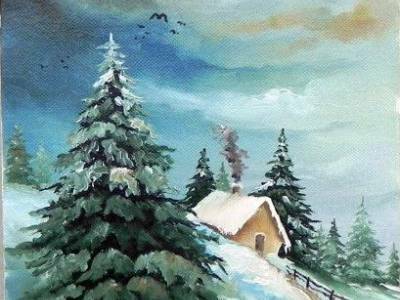 A beautiful oil painting hand made, representing a winter landscape. It represents the perfect present - 20x30 cm. 25 euro.